We are pleased to announce Adguard 5.9 release. During the existence of the program, we have received many requests from our users about implementing the “Parental Control” in it. 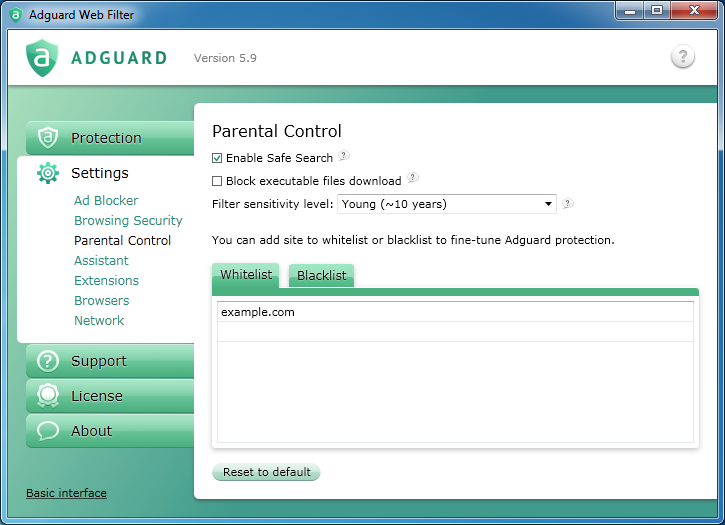 Many parents found Adguard helpful, because when using it the child didn’t see inappropriate advertising. Finally, in the version 5.9 we are ready to introduce “Parental Control” – a separate module of the program. Thanks to everyone who has volunteered to test Adguard 5.9! You do it so good that I am starting to think that you all are professional software testing engineers! Version 5.9 of Adguard brings a lot of changes and new features. 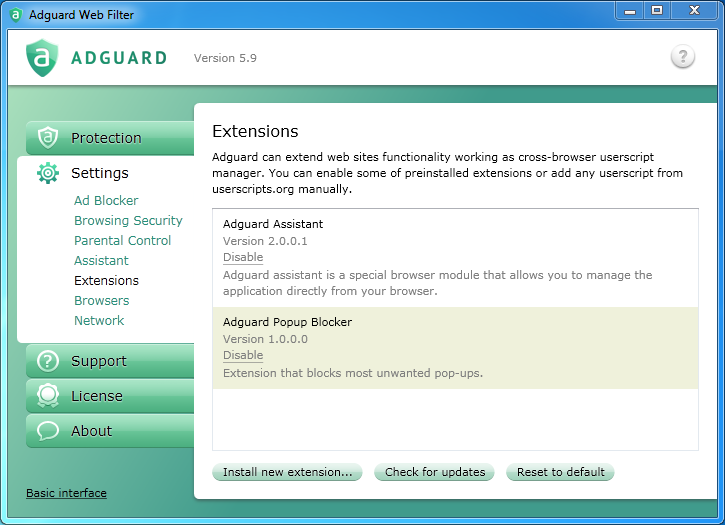 One important change is an ability to install extensions to Adguard. Adguard extension is in fact the userscript.